ALLEGRA BOVERMAN/Staff photo. Eagle-Tribune. 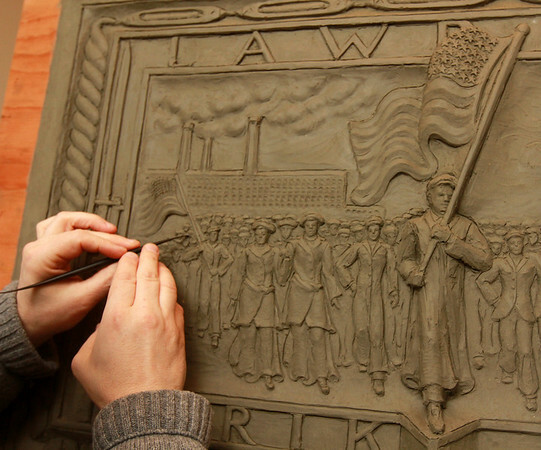 Gloucester: Sculptor Daniel Altshuler of Gloucester is working on two bronze plaques that will commemorate the Bread and Roses Strike of 1912 and be placed in Lawrence's Campagnone Common a few hundred feet west of City Hall.